ATLANTA – May 26, 2017 – The Buckhead Community Improvement District (BCID) elected one new board member and re-elected two current board members during a special Caucus of Electors as a part of its monthly board meeting. The newest member is Jim Bacchetta, vice president and Atlanta division manager of Highwoods Properties, a publicly traded real estate investment trust that owns, leases and manages properties in Best Business Districts (BBD) throughout the south. Bacchetta will serve a four-year term, and join eight other board members working to create and maintain a more accessible and livable urban environment in Buckhead through future improvement and redevelopment plans, like the park over GA 400. The CID also re-elected board members Matt Rendle, senior vice president – Property Management Selig Enterprises, Inc. and Thad Ellis, senior vice president – Cousins Properties Incorporated. The BCID also voted, as it must do every six years, to not dissolve the CID, extending it for six more years to September 2023. As a 25-year commercial and industrial real estate veteran, Jim Bacchetta serves as vice president and Atlanta division manager of Highwoods Properties. In his role, Bacchetta is directly responsible for the Atlanta division’s leasing, acquisitions, development, construction and property management. Prior to joining Highwoods in 2006, Bacchetta was a private investor in industrial properties in Atlanta, and he owned and operated a national trucking company. Bacchetta’s real estate experience includes an extensive national background in various sectors of real estate including office, industrial, multi-family, resort and senior housing. Jim was director of acquisitions for Anderson Properties and vice president of acquisitions for Consolidated Resources. He started his career in Atlanta as a certified public accountant with Price Waterhouse, where he worked for five years. Bacchetta is an active member of NAIOP and ULI. Thad Ellis leads Cousins’ Atlanta, Dallas and Raleigh ofﬁce portfolios and has more than 30 years of real estate expertise, including development, leasing and property management for the Cousins’ Class A ofﬁce portfolio. Thad began his real estate career in 1984. 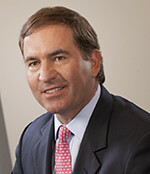 He joined Peterson Properties in 1986 and was a senior executive at Carr America through its 1996 acquisition of Peterson Properties. Thad was the Managing Director for CarrAmerica’s Atlanta and Florida ofﬁces. At CarrAmerica, Thad was directly involved with the acquisition, disposition and/or development of the ofﬁce product and was a member of the ﬁrm’s Investment Committee. 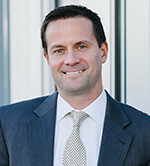 Prior to joining Cousins in 2006, Thad was the Managing Director of GVA Advantis’ Atlanta ofﬁce and a member of the ﬁrm’s executive committee. 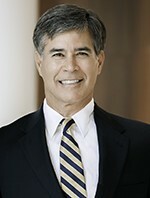 Thad is an advisory board member and past president of the National Association of Industrial and Ofﬁce Properties (NAIOP) and is on the board of the following organizations: the Buckhead Community Improvement District, the Executive Committee for the Midtown Alliance, Boys and Girls Club of Atlanta and the Corporate Campaign Committee for Woodruff Arts. He is the past Chair for Washington & Lee’s Annual Fund. Matt Rendle serves as Chief Investment Officer where he holds primary responsibility for underwriting new investments and redevelopment initiatives for the company. Matt came to Selig in 2015. He has more than 15 years of experience, and has previously held positions in acquisitions, development and asset management. Matt most recently worked at Jamestown Properties where he led Asset Management as managing director over a diverse $7.2 billion national real estate portfolio. In various acquisitions roles, he has closed more than $650 million in acquisitions over many product types, including office, retail, industrial, multifamily development and land transactions. Matt also serves on the DeKalb Development Oversight Committee, where he is the Secretary. Peachtree Road Streetscape – Phase Four ($3,550,000): Improvements on Peachtree Road from Shadowlawn Avenue to Sheridan Drive that will include wide sidewalks, street trees, pedestrian lighting and traffic signal upgrades. 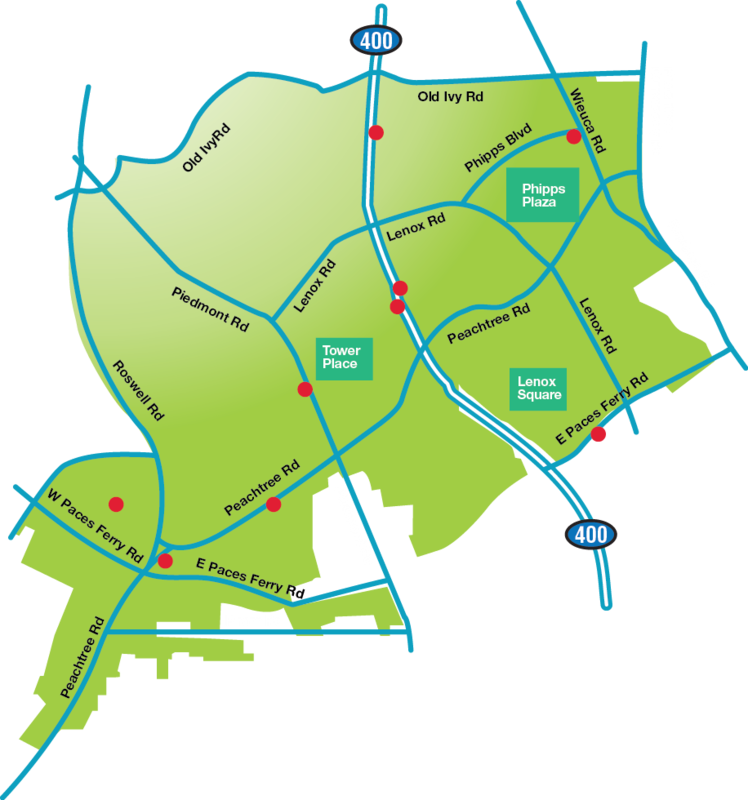 Lenox Road Complete Street ($2,150,000): Multi-use trail project on Lenox Road between Peachtree Road and East Paces Ferry Road that will provide last mile connectivity between the Lenox MARTA station and the surrounding Buckhead business district. GA 400 Interchanges Scoping Study ($80,000): This scoping study will address the need to reduce traffic congestion in the Buckhead community by introducing a second GA 400 interchange at East Paces Ferry Road. The study will also recommend roadway network and pedestrian/bicycle facility improvements that will maximize multi-modal transportation options. Piedmont Road Corridor Scoping Study ($80,000): This scoping study will recommend roadway, traffic signal and pedestrian/bicycle facility improvements that will reduce travel time delays, improve safety and promote multiple modes of transportation. The CID also hired a new team member, Angie Malta, in April 2017. Malta will serve as the CID’s senior project manager and will help manage new and current BCID projects. Angie R. Malta has more than 20 years of experience in the fields of National Environmental Policy Act (NEPA) compliance, transportation planning and project management. She has successfully implemented capital improvement projects that are sensitive to community context, using a streamlined and progressive approach to agency coordination and stakeholder involvement. Angie was a member of the Leadership North Fulton class of 2012, the ACEC 10th annual Future Leaders Program, and the WTS Leadership Program. The objective of the Buckhead Community Improvement District (BCID), working with the City of Atlanta and its community partners, is to meet the challenges resulting from Buckhead’s rapid, primarily automobile-based growth, including improving traffic mobility, enhancing the pedestrian environment, creating better access to public transit, initiating intra-district transportation alternatives, encouraging better integration of land uses and improving linkages to the region’s automobile, transit and bicycle networks. For more information visit BCID or connect via Facebook, Twitter and YouTube.